This program runs in the morning from 9:00 a.m. to 12:00 p.m. and in the afternoon from 12:30 p.m. – 3:30 p.m. Program I includes only the Montessori classroom opportunity. The children are engaged in the many areas of the classroom such as language, art, math, geography, sensorial, science, practical life, music, group times and activities along with outdoor play. The children work toward independence and develop at their own rate as they explore the classroom, which is set up for “their” use, and interact with fellow classmates who range in age from 2 ½ to 6 yrs of age. They also work with and their progress is charted by the Montessori staff as they explore many of the hands on – self correcting materials available to them. This program runs in the morning from 9:00 a.m. to 12:00 p.m. and in the afternoon from 12:30 p.m. – 3:30 p.m. Program II includes a morning or afternoon Montessori Classroom opportunity along with care before or after the core class. All of the classroom activities listed under Program I apply but the hours for Program II are either 7:00 a.m. to 12:00 p.m. or 12:30 p.m. to 6:00 p.m. The AM Program II provides the opportunity for a child to arrive before class time, participate in our breakfast program and early morning free choice and then the core class time. The PM Program II provides the opportunity for a child to arrive after lunch, participate in the core class and then after class time participate in afternoon free choice and outdoor activities. Program III which runs from 7:00 a.m. to 6:00 p.m. also includes a morning or afternoon Montessori Classroom opportunity depending on your child’s age and need for a rest during the day. When your child is not involved in their designated morning or afternoon class time they will participate in free choice and directed activities or rest time. Those children who are in a morning classroom will participate in an afternoon rest time while the afternoon class is in session. Those children who are in an afternoon class will not have a rest time and will participate in the free choice and directed activities during the morning hours. These children can also participate in the breakfast program, early and late afternoon free choice time and lunch program all depending on the length of their schedule. This program runs from 8:30 a.m. to 3:30 p.m. and can be utilized in 2 ways. First off it can be used to help those young 5 year olds develop their Kindergarten skills and become prepared for success in the all day Kindergarten programs within our community or secondly it can be used as your child’s Kindergarten year. 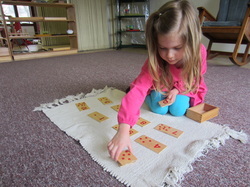 Since Montessori believes in “following the child” we will be able to give them more individual instruction time, work on the skills that may be challenging them, and work specifically on Kindergarten learning areas both individually and in small and large groups. 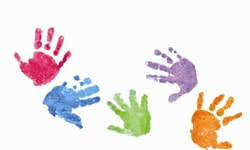 Our Extended Care Program is for children 6 to 12 years of age who are attending the area elementary and middle schools. The before school care is offered from 7:00 a.m. to 8:30 a.m. when they leave to attend their individual schools and the after school care is offered from 3:30 p.m. to 6:00 p.m. We provide transportation to and from elementary schools, which needs to be approved and arranged prior to the start of the school year. Being a year round facility, we additionally offer all day, part day and partial summer schedules within our Summer Programs for ages 2 ½ to 12. We distribute information about the programs and their activities as we get closer to these sessions. Time frames and costs are comparable to the school year programs. More information is located on our Summer page.